I am back in Canada now - expect more wedding photos once I have had a chance to edit them - but in the mean time I will post a few of the other shots I took that need little editing. 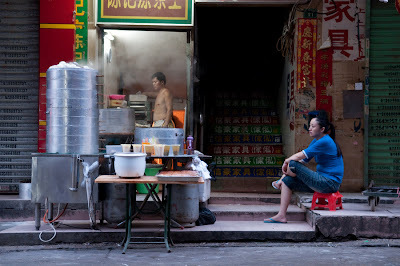 This is very early morning (about 6:15am) shot in the backstreets of Shenzhen. Whereas Canadians usually start their morning routine my dropping into a coffee shop, in cities like Shenzhen many Chinese stop at a place like this to pick up something to start their day. 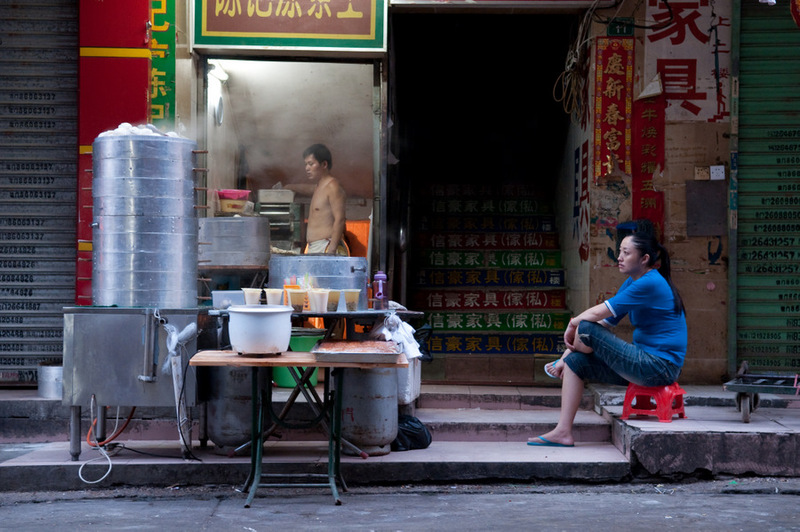 This shot, therefore, is of the Chinese equivalent to Canada's Tim Horton's (the coffee and donut store).